I was at Bed Bath Beyond today and noticed the Oxo Nonstick cookware set. The pieces are not that different than other hard anodized aluminum nonstick cookware. They have rolled edge which is nice, but their more noticeable different is their relatively thick chubby handles. This makes their handles more comfortable to hold on to. 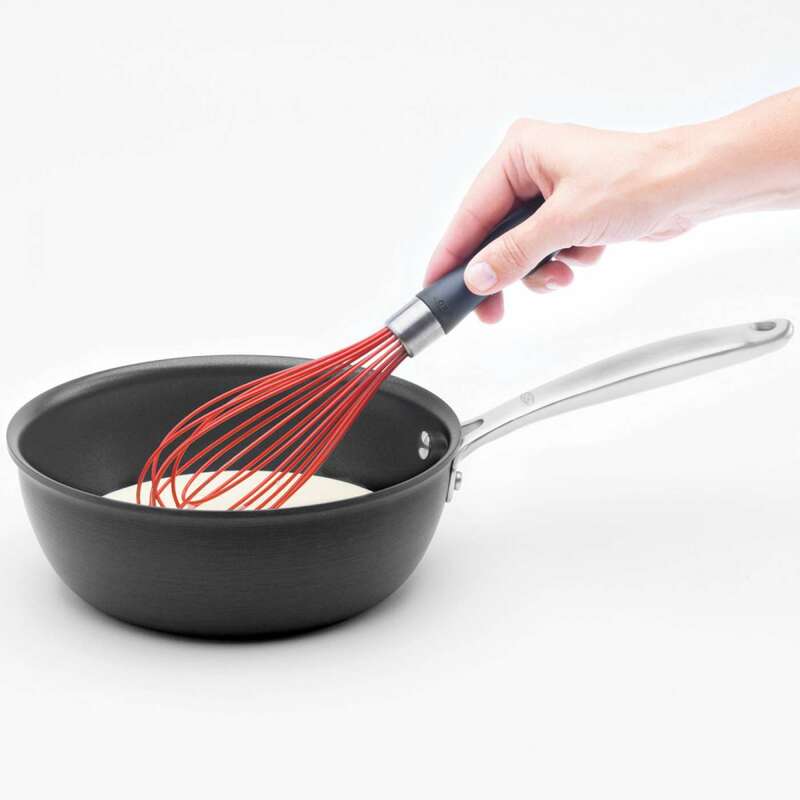 Have you seen the Oxo cookware? What do you think? Can they compete with Cuisinart and Calphalon, or do you think that Oxo isn’t quiet there yet? Thanks. I wonder how they handle the heat transferance into the handle I have too much assorted cookware to go buy a new piece just for testing. That is a good point. Having a larger cross section may indeed make the heat transfer faster and therefore makes the handle hotter during cooking. Exactly how this will translate in real life, that I have no idea. It would be nice to find out. I was never a fan of Calphalon because you had to buy the special handles just to pick it up when it was hot. I like the rounded corners on the sauce pans. It does look nice, doesn’t it? Indeed. Makes me wish I needed a sauce pan.